After years of searching for our own piece of paradise in the country, two years ago both of our dreams were realized… land by the water and the aspiration of one day owning a winery. 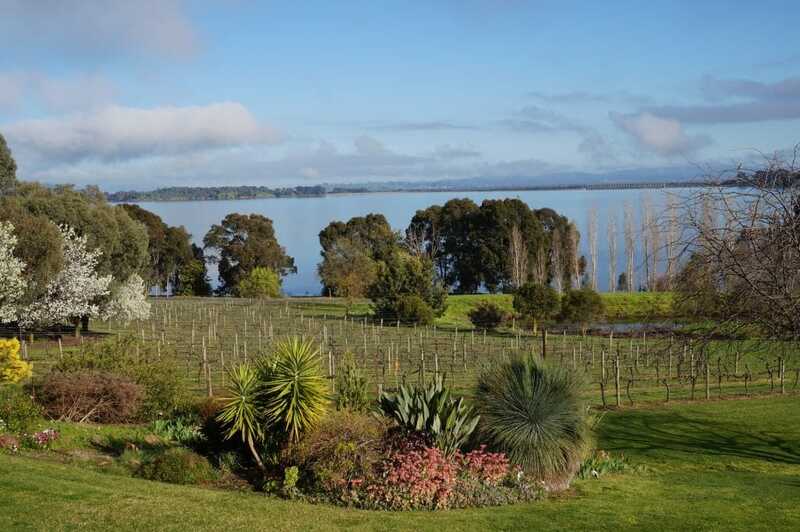 Posh Plonk winery is situated on the beautiful shores of Lake Hume near Albury Wodonga, the vineyard is set over 5 acres and has been established for 20 years. The vineyard is in a very unique location, it sits on extremely fertile sandy loam and the area immediately surrounding the vineyard is rich with minerals such as copper and gold which has been mined for over 100 years until recently. Another very unique feature of the vineyard is the spacing between the vines which is 4 meters (normally 1.5-2 meters), the original owners had planted the vines with two-meter spacing’s, but soon realized due to the extremely fertile nature of the area the vines grew so vigorously you could not get between the rows to pick the fruit, so a decision was made to remove every second row, which now allows amazing amounts of airflow through the vineyard which is great for the vines and helps prevent disease. Being on the water front also attributes to the amazing quality of the fruit, as the vines are actually getting double sun, as the sun sets over Lake Hume it reflects back on the vineyard which is a very unique feature and allows the fruit to ripen evenly. We have partnered with Cofield Wines to produce our wine, as we believe we can leave nothing up to chance, in addition to engaging the finest winemakers in North East Victoria we have sourced the finest oak barrels from the Bordeaux region in France to allow the wine to be the best it can possibly be, and the results speak for themselves. Over the past two years we set out to create an innovative premium wine brand that would appeal to all demographics and be a wine that you would be proud to take home to family and friends, order from a wine list or offer as a gift. We wanted to have a brand that really stood out from the rest and that’s where the wrap came in, every bottle is wrapped and tied by us and is truly a labor of love. We hope you enjoy Posh Plonk as much as we have enjoyed creating it…….